You might remember when I took Miss M to an art class at Little Picassos last year. 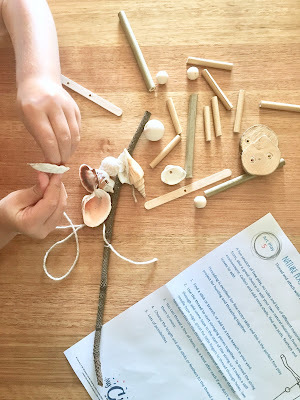 These beautiful art experiences for young children are held at Glenelg and Hyde Park studios (both of which are not near me!). 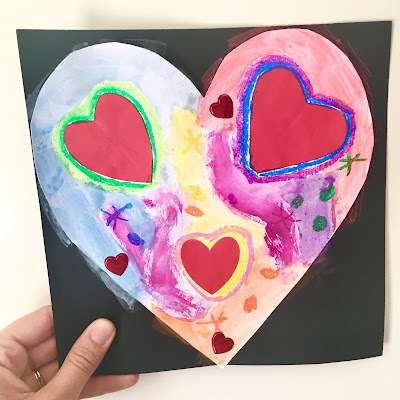 So I was thrilled when I found out they are offering subscription art kits from their new side business called My Creative Child, because it means Miss M and I can create beautiful art together at home. The February Art Pack was kindly gifted for the purpose of this review. Everything you need to create the art is included, already cut to size or pre-prepared, and the materials are of a beautiful quality (Miss M got her first set of oil pastels which she's so excited about, now that she's a school girl). There are 5 activities included in the pack, all carefully planned out and tied in with a particular theme for that month. I noticed a similarity between the activities and the art classes themselves; let me explain more.. 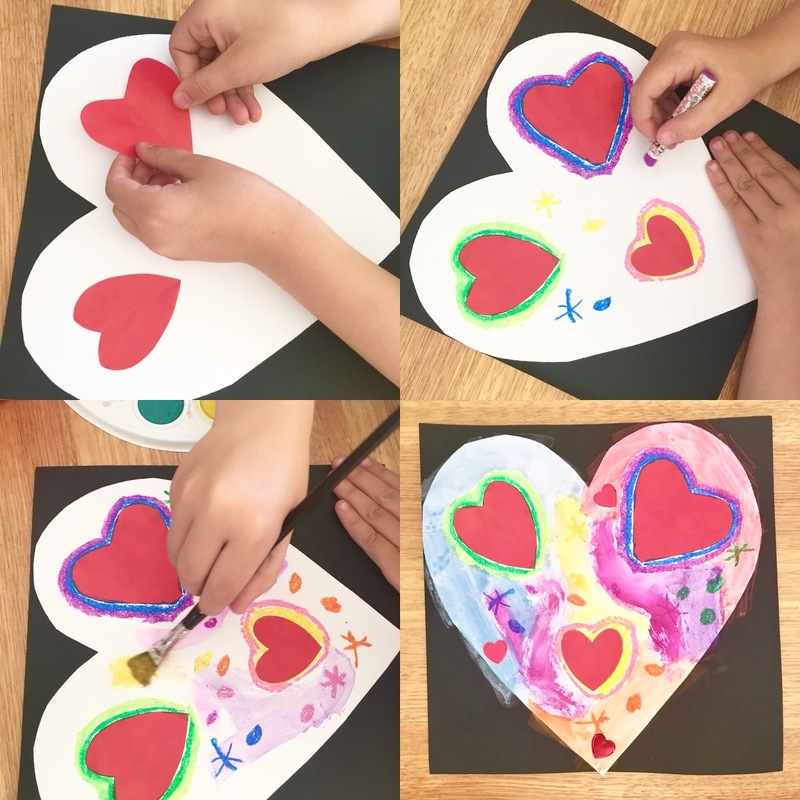 Being the February kit, one of the activities was themed around Valentines Day. 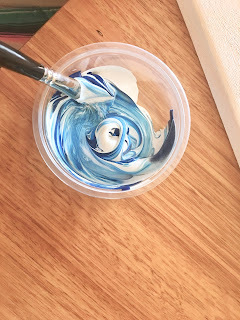 This activity involved gluing, drawing and water colour painting, and what a stunning result! I absolutely love it! Sticking with the oil pastels and water colours, we were invited to create a gorgeous colourful fish (which Miss M quickly decided would be the Rainbow Fish) when she began doing do her squiggly lines and fishy scales in the rainbow order. 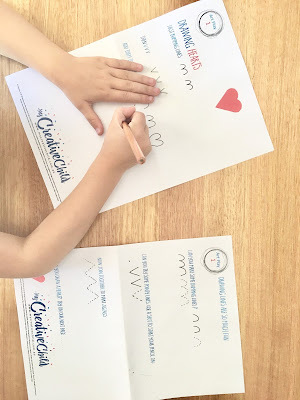 This activity reminded us of our warm up task where the child is asked to practise different types of lines and patterns. After she painted it with the upmost care (and when it was dry) we decorated it with different textured collage materials. I was really impressed when Miss M decided she wanted a zig zag line, but needed to measure and cut the strip of paper to the right size. 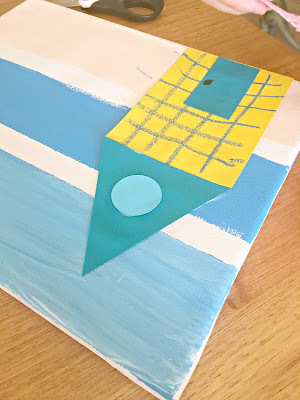 Miss M was really keen to do this one because she wanted to paint and craft on the canvas (like a real artist). 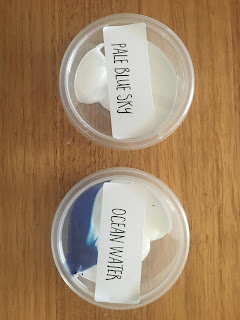 We used painters tape to create the three sections of sand, sea and sky and I really loved how the paint came unmixed in little tubs for the children to mix themselves! Once dry, used collage materials to create the beach huts. She decided to have three, one for her, one for her brother and one for us. She thought carefully about the colours and patterns that each of us would like and what colours would match and go together. So we did the activities from this kit over two weekends (I didn't want to rush her and do it on a school night). We have both really loved it and I'm seriously planning to sign her up for a subscription for her 5th birthday! There are a few options that you can choose from with My Creative Child which I'll outline below. Firstly you may wish to simply order a kit of art supplies. A monthly art pack like we got to sample can be ordered singly, or as a 3, 6 or 12 month subscription. The Art Lesson is a box is ordered as a one off, and this allows you to pick your theme e.g. rainbows, ladybugs or space! Finally you can also order birthday party packs! What a fantastic idea for an art loving child and their special friends. 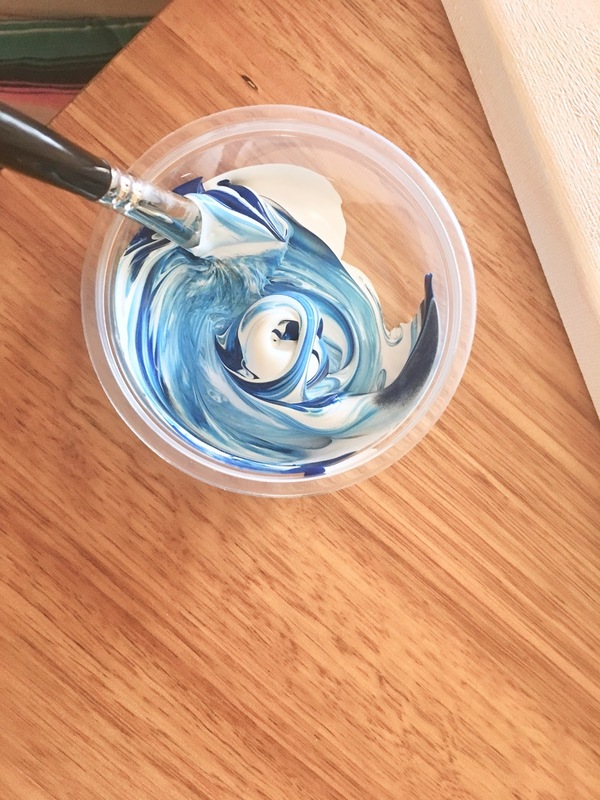 Thanks so much to the lovely team at Little Picassos and My Creative Child for ignighting a love of visual art in our little people.